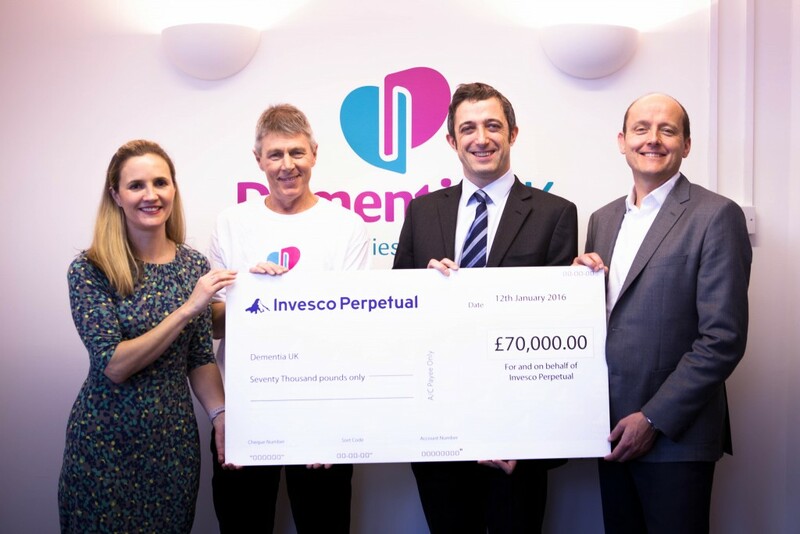 We would like to say a big thank you to all the staff at Invesco Perpetual who have finished their one year partnership with Dementia UK by donating an incredible £70,000. The money raised will be used to set up the first ever Admiral Nurse Service in Henley on Thames, allowing us to offer specialist one-to-one support for families living with dementia in the area. Staff at Invesco in the UK have all gone the extra mile for the charity by organising and taking part in a number of fundraising events, including holding a successful summer party; hosting two Time for a Cuppa tea party events and taking part in the last Hour Giving Campaign in September 2015, which raised over £6,500 with 154 people participating. Click here to find out more about our corporate partnerships.